A few thoughtfully selected accessories can make dives more enjoyable and safer. 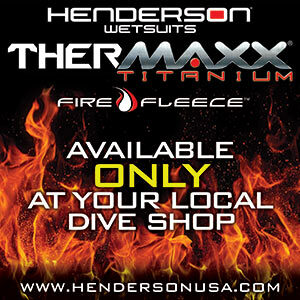 Quality dive accessories exist to make diving not only safer but also simpler and more enjoyable. Whether it's an easy-to-use signaling device to get your buddy's attention, a rugged cutting tool to get you out of a sticky situation or a bright light to illuminate a dark place, an effective accessory might be just what your gear bag is missing. While a few handy accessories can enhance your dives, carrying too many may do the opposite. Looking like a Christmas tree underwater with countless shiny gadgets hanging from your BCD might make you a hit around the holiday season, but it will also make you work harder while swimming and limit how quickly you can reach what you need. More dangling gear also increases your risk of being entangled in loose line, nearby buddies or innocent marine life. Thoughtfully consider what tools or gadgets you'd like to take with you on each dive. Few problems in diving can be as stressful and dangerous as underwater entanglement. Even when you're not in immediate danger, having a cutting device — or better yet, more than one — within easy reach will put your mind at ease and let you focus on having fun. Whether you use it to trim a few inches off your weight belt before you gear up or to free your buddy from some fishing line he swam through during the dive, a cutting device is one of the most important accessories you can have on hand. Trauma shears and fully serrated knives can make quick work of thick lines and wire, while hook-shaped cutting devices are most useful for cutting thin lines with one hand. Corrosion resistance is an important factor when choosing a cutting tool, and devices made of titanium or high-quality stainless steel will generally last the longest. Any device that is simple, robust and easily accessed can be useful in an entanglement and will make dealing with problems that arise underwater minor annoyances rather than emergencies. Among the most useful dive accessories are tools that can help you get your buddy’s attention, free yourself from an entanglement and illuminate dark places. bangers and underwater maracas can be incredibly useful. These accessories come in a variety of forms, from elastic bands with hard rubber balls you use to strike your tank, to waterproof containers filled with metal beads that you shake. Other types of noisemakers can be attached to your regulator's low-pressure inflator hose; these use gas from your cylinder to make duck calls or whistling noises that are hard to miss. These accessories are particularly useful in good visibility when your buddy can see you but needs to be reminded to look in your direction. In areas of limited visibility, noisemakers can still be helpful, but their usefulness is limited by the visibility. This underscores the importance of maintaining viz-appropriate proximity to your buddy. Essential on night dives but often overlooked for deeper dives, wreck dives and dives on certain reefs, dive lights make for excellent signaling devices and bring color back to the depths of the ocean. The water column filters out many of the brilliant hues of the ocean's flora and fauna — even on sunny days in clear water — but by providing your own light you can see the creatures of the deep in their full glory. can vary greatly in power, burn time and cost. The majority of recreational divers are best served with a compact handheld dive light. John Brigham, vice president of Ikelite, contends that a good dive light should be "small, simple and easily accessible," adding that advances in LED technology have made LED lights almost universally more powerful while also having longer burn times. Because they draw less power than halogen bulbs at a similar light output, LED-powered dive lights also burn less hot, so they can generally be used on the surface as well. That low power draw also means that LED lights can be brighter than similarly sized halogen lights. The increased performance of LED lights comes at a cost, however, both literally and in the fact that owners often cannot replace the LED themselves like they would with a halogen bulb. Other considerations for light choice include travel concerns, ease of operation and whether the light is user serviceable. Some lights come with batteries that are too large to fly with or are made of materials that aren't allowed on commercial aircraft. Features such as beam width, rechargeable batteries and multiple power settings are available, although Brigham notes that "a light is a light" — it's best to keep lights simple and easy to use. It is important to realize that accessories are just that: accessory to the dive. Even the best tool can be a hindrance if it takes up time or mental bandwidth that a diver could be using elsewhere. Accessories can make your dive easier, safer and more fun, but they should never be used to compensate for skill or equipment inadequacy. But whether it's the convenience of easily getting your buddy's attention, the comfort of knowing that you can cut your way out of an accidental entanglement or the knowledge that you will have a bright and reliable light source for an exciting night dive, accessories provide valuable utility that can brighten days as well as dives.